The aesthetic approach to landscape sets out to answer the questions ‘What is it that we like about landscape, and why do we like it?’ (Appleton, 1996 p. xv). Despite this simple formulation, several writers have remarked upon the need for a unified theory of landscape aesthetics to be developed. 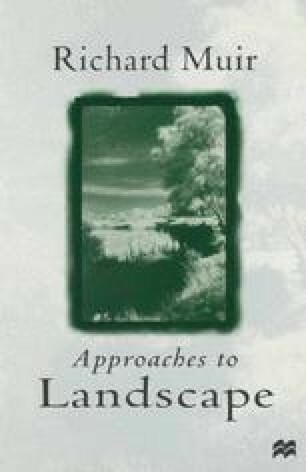 Bourassa wrote: ‘A major obstacle in the way of development of a theory of landscape aesthetics is the fact that philosophers have given very little attention to landscape as an aesthetic object … As a consequence of their emphasis on art, landscape has been neglected in philosophers’ writings on aesthetics’ (1991 p. 10). ‘Landscape’, he added, ‘is rarely, if ever, just a work of art. Even the most contrived garden is to some extent composed of natural phenomena beyond the control of the designer … Furthermore, the everyday landscape is typically a combination of art, artifact and nature, and the relationships among those categories are complex’.